Box Text: THE TRUTH IS WRITTEN IN BLOOD. I will see VENGEANCE upon those who have BETRAYED my family. Only to uncover a CONSPIRACY bigger than I could have imagined. I am Ezio Auditore Di Firenze. I AM AN ASSASSIN. Open-world mission structure with immense variety. Evolve into the ultimate master assassin. Utilize an arsenal of weapons and gadgets, designed by Leonardo Da Vinci. 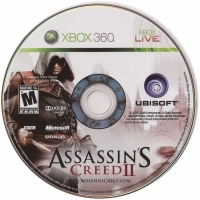 This is a list of VGCollect users who have Assassin's Creed II in their Collection. 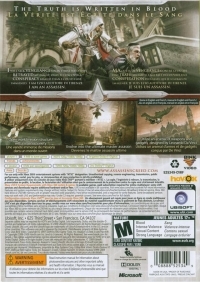 This is a list of VGCollect users who have Assassin's Creed II in their Sell List. 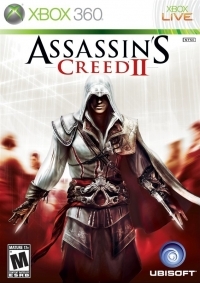 This is a list of VGCollect users who have Assassin's Creed II in their Wish List.